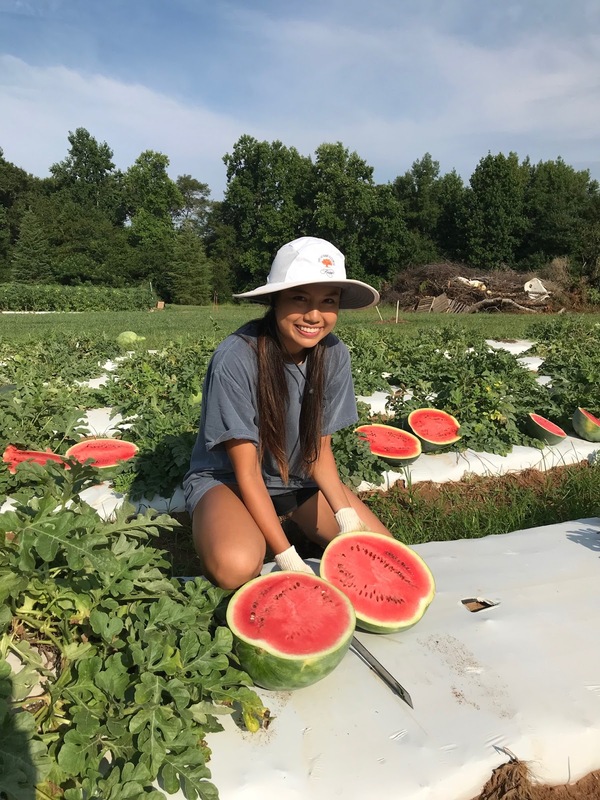 Summer is always a busy time in our program. 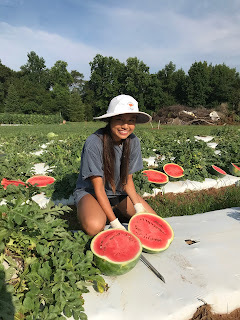 Here is Jackie Do, one of our undergraduate students helping to make selections in the field for the breeding program. 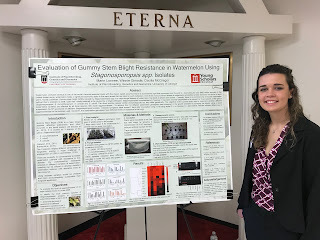 Doens't that look delicious! 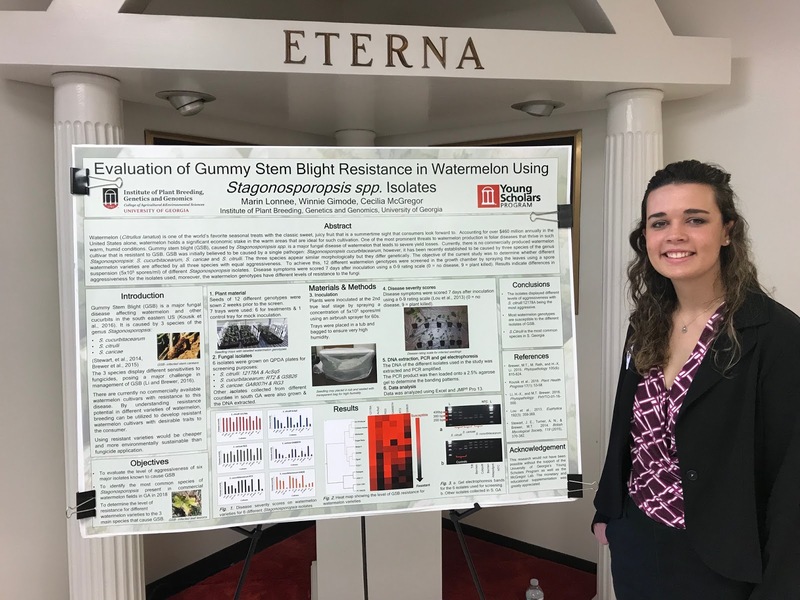 Marin Lonnee won first prize at the CAES Young scholars poster competition (Athens) for her poster entitled "Evaluation of Gummy Stem Blight Resistance in Watermelon Using Stagonosporopsis spp. 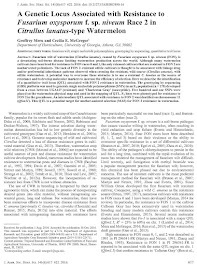 Isolates". Congratulations to Marin and her mentor, Winnie Gimode. 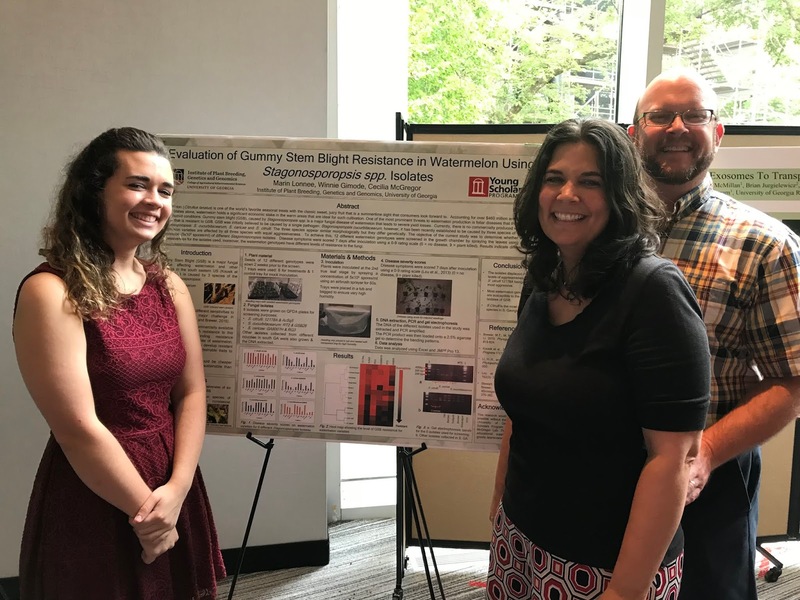 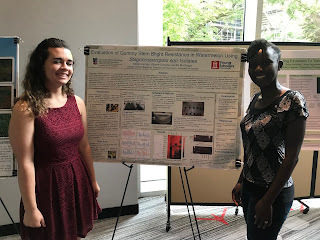 Marin Lonnee presented her poster at the UGA CAES Young Scholar Internship Program Pre-Collegiate Research Conference. 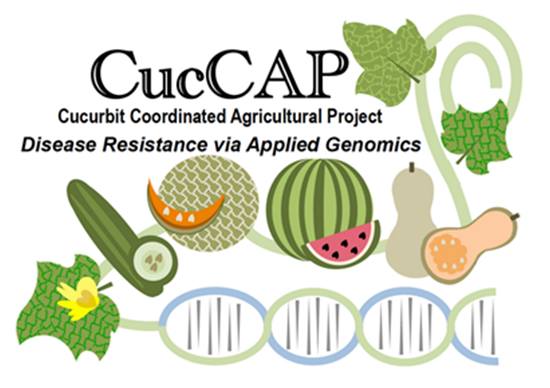 Marin carried out research with Winnie Gimode on the resistance of watermelon genotypes to specific fugal species and isolates that cause gummy stem blight in watermelon.